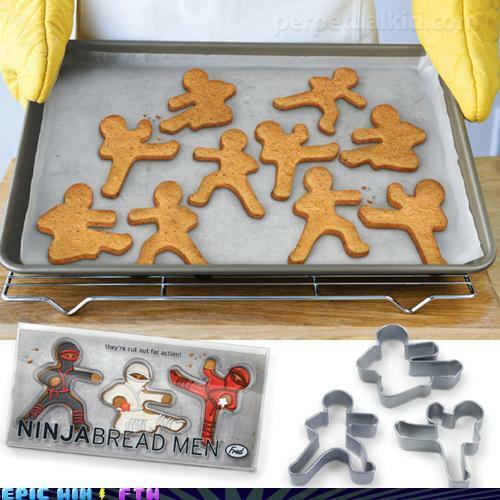 Gingerbread Ninjas Get Down: Watch Out! Spectacular! Frank Lloyd Wright's Falling Water in gingerbread - Can you believe it? I grabbed this Creative Commons licensed pic from the flickr pool of coleypauline. It's the perfect lead-in to the info below. Background: Do you read The Local Tourist, Chicago's neighborhood website? It's packed with things to do and experience in this great city. Alert: My friend Jim (the super talented singer) pointed out a really exciting item that just popped up in The Local Tourist. Must share! It's a Gingerbread Prarie House Contest right here in Chicago and I do believe I will whip up an entry. Over the years, I've toured many of Frank Lloyd Wright's structures and had a great time wandering around Taliesin East with its schoolhouse (built for FLW's mother), theater, working architectural design studio and home. Wright and his family are buried in unmarked spots in the open space behind the buildings. I like that tradition. For inspiration, you'll find all sorts of mod and prairie-style gingerbread on the web. There's another Falling Water - click here to view it, courtesy of Serious Eats. Here are some gingerbread ninjas for my brother, Mike. It's been a long, hard winter for those of us in the midwest (and elsewhere) so why not celebrate with some peeptastic fun? If you've seen pics from any of the peep diorama contests in recent years, you'll know that these colorful characters have some wild and crazy fun. Take note: The most elaborate entries are not necessarily the ones that win. Clever and witty dioramas, often featuring a play on words, usually rake in the prizes. The EPL Peeps displays, in the clip above, offer some great ideas. And the heroic Capt. Sullenberger diorama ... well, what can I say? It's amazing. You'll also find great slideshows alongside details of the 4th Annual Washington Post Peeps Contest, where clever dioramas compete for all sorts of Washington swag. Be sure to read those rules carefully. Time to start thinking about those Peeps contests that are just around the corner. If you are lucky enough to be anywhere near the Grove Park Inn's National Gingerbread Competition in Asheville, NC, you will certainly be impressed with this gingerbread masterpiece from a first-time competitor, Shelley. She visualized the Biltmore House perched atop a pop-up book sitting on a table, with an old pair of spectacles lying in front. It's all gingerbread, folks ... the book, the table and the spectacles. Very intricate and detailed, and it's only 9 1/2 inches tall! See the Biltmore estate here. Many thanks to Rita for sharing her festive gingerbread houses. I'm always interested in new ideas and the pink park benches on both sides of the walkway caught my eye. If I'm not mistaken, they're made from those wafer-type cookies with little marshmallows as legs. Below, curved candy canes are decked out with yellow gumdrops to make them resemble outdoor lamp posts. Very nice, Rita! The big blizzard didn't arrive in our western Chicago 'burb last night, but it was pretty, just the same. We'll be gingerbreading this weekend along with the rest of you! I was in Cincinnati for Thanksgiving and on one of our excursions, we drove past Findlay Market. Now, here it is in gingerbread! Take a look at these award winners from the House of Hope gingerbread competition for some colorful, well-executed ideas.